Greetings! I’m going to jump right in because I think this will be a long one. Week 14 covers April 3 – 9. As always, feedback is encouraged. I love hearing from all of you, even if you just hit the like button. I mean, how easy is that? 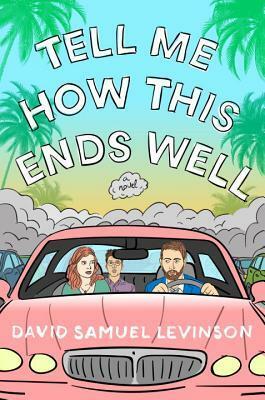 Tell Me How This Ends Well by David Samuel Levinson – I received this as an e-book via Penguin First to Read. I really liked this. It is really well written. It’s entertaining. The only criticism I have is that there are no chapter breaks to speak of, only when it changes between narrators, which does not happen as often as you might think. It’s an interesting concept and I felt really engaged. I also enjoyed the characters. I really didn’t use the word really enough. Apparently I need a new adverb. I’m giving this 3 stars. His Majesty’s Dragon by Naomi Novik – I borrowed this as an e-book from the Boston Public Library. It is Temeraire #1. This is Napoleonic Wars + dragons. Because why not? 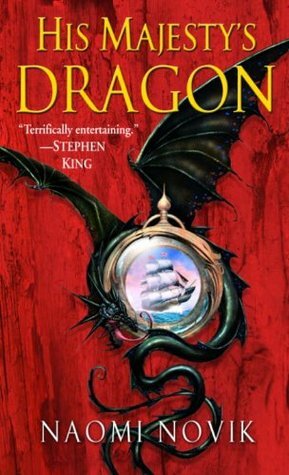 When his ship captures a French vessel and acquires their cargo, Sea Captain Will Laurence finds himself in possession of a dragon egg, which is about to hatch. The new dragon picks Will as his partner and so he must change careers and become an aerialist. The whole book is exciting. The dragons are pretty cool. It’s well written and highly entertaining. I’m giving it 4 stars. 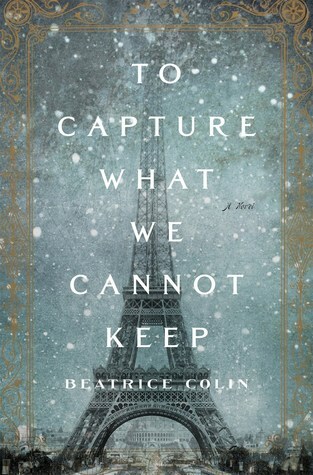 To Capture What We Cannot Keep by Beatrice Colin – I borrowed this as an e-book from the BPL. Actually, this was something I recommended and they decided to buy. This is set in a time and place that I love reading novels and history books about. It takes place in Paris (mostly) while they are building the Eiffel Tour in preparation for the World’s Fair. In this, a widowed chaperone from Scotland meets one of the architects while taking a hot air balloon ride. These are actual, real people and this love affair is a fictionalized version of events that happened. The author really pulls this off well. I definitely recommend it. I’m giving it 4 stars. 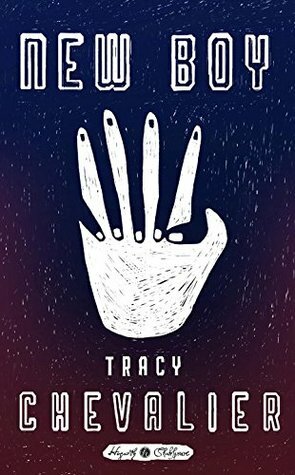 New Boy by Tracy Chevalier – I received this as an actual book in a Goodreads giveaway. This is part of the Hogarth Shakespeare series. This is a retelling of Othello, set on a 6th grade playground in a white suburb of DC during the 1970s. I think this was a good choice for a discussion about racism, which is the underlying theme to the tale. Obviously, this is a tragedy so it does not end on a happy note. I have not read Othello, but I feel compelled to do so. I am also curious to read other titles in the series which is basically famous authors retelling Shakespeare plays. It is interesting. I definitely recommend it. It is also really short, so definitely worth the time commitment. I’m giving it 3 stars. 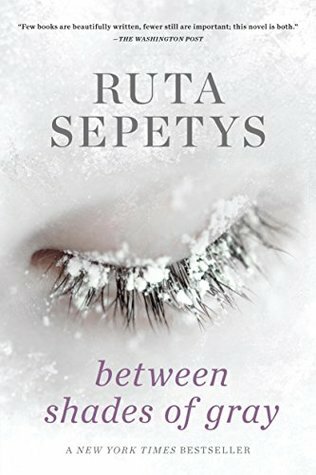 Between Shades of Gray by Ruta Sepetys – I borrowed this as an e-book from the BPL. This tells the story of a teenage girl and her family who are taken from their home in Lithuania and sent to a work camp in Siberia by the Russians, accused of being political dissidents (or some such excuse). It is the story of survival. It is well written and the characters will grab your heart. I recommend it to anyone. If you prefer a movie, it was renamed Ashes in the Snow to separate it from those other ridiculous movies with titles similar to the novel’s. I have not seen the movie, but it the previews look pretty good. I’m giving the book 4 stars. Brew or Die by Caroline Fardig – I received this as an e-book from the publisher via NetGalley. 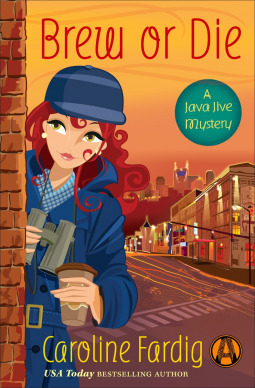 It is Java Jive Mystery #4. These are cute mysteries. I’ve become quite attached to the characters in this series. In this one, Juliet is finally an official PI, so her investigations are now a bit more above board. People are now paying her to investigate things on their behalf. Her first client wants to catch her husband cheating and ends with Juliet being accused of stabbing him. And that’s just the first chapter (or maybe the second).This character has a way of finding trouble that is endlessly entertaining. Of course, if this was my friend IRL, I would probably avoid her. People have a way of turning up dead when she’s around. These books are perfectly entertaining and great for when you just need a break. I’m giving it 4 stars. And that’s it for Week 14. I told you it would be long. Let me know what you think or if you have any books that you would like to recommend. This entry was posted in What I Read and tagged Beatrice Colin, Boston Public Library, Caroline Fardig, David Samuel Levinson, First to Read, Goodreads, Hogarth Shakespeare, Java Jive, Naomi Novik, NetGalley, Ruta Sepetys, Temeraire, Tracy Chevalier. Bookmark the permalink.